This contemporary project has been showcased in many magazines due to its prestigious nature. 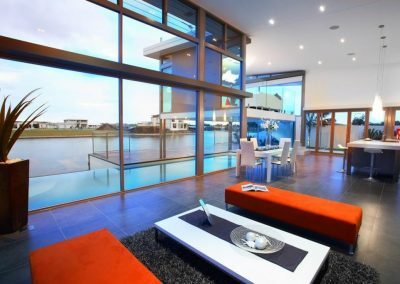 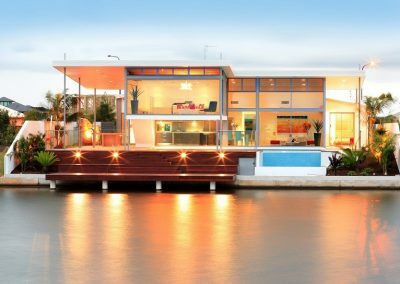 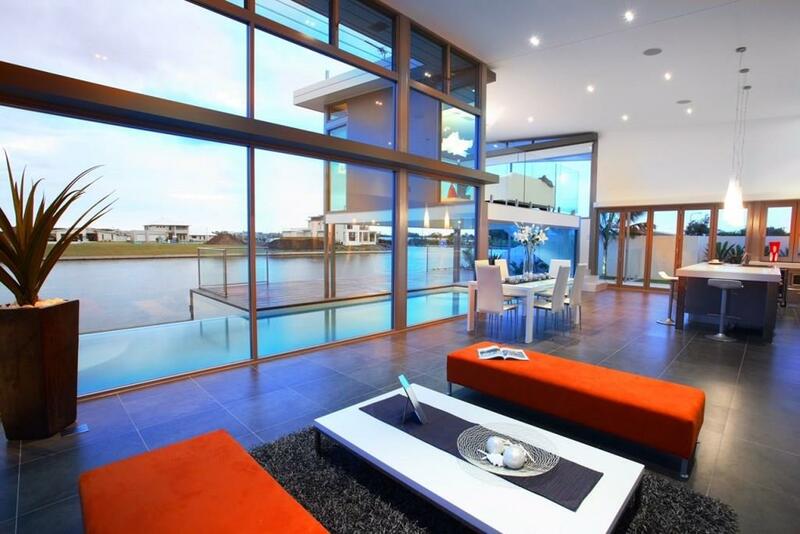 Designed by the Christopher Design Group, the cutting edge home overlooks the waterways of Pelican Waters with views for the whole family to enjoy. 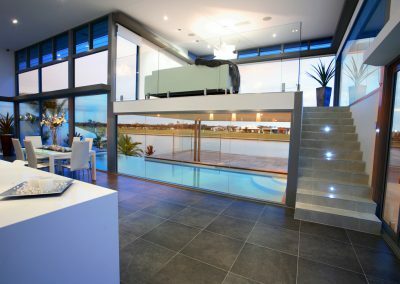 The home features a suspended concrete construction of the lounge room that extends over the upper swimming pool and the clean lines of the floor to ceiling glazing allows uninterrupted views so occupants inside the home can maintain a connection to the outside environment. 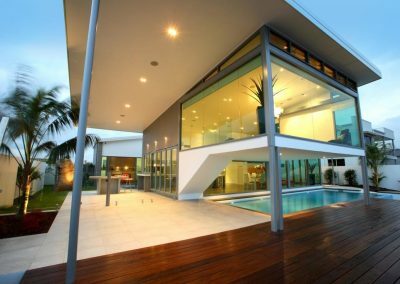 Fully customised Breezway Altair Louvre Windows have been placed around the home in a variety of shapes and sizes to make the most of natural light and ventilation. 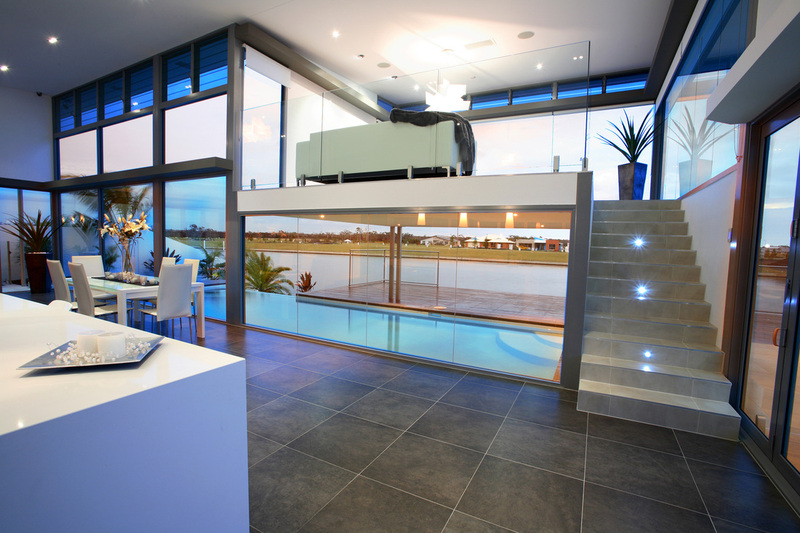 High level multi-bay louvres can be seen above larged fixed glazed panels in the open-plan living room, while tall, narrow single bays in bedrooms are featured on opposing walls. 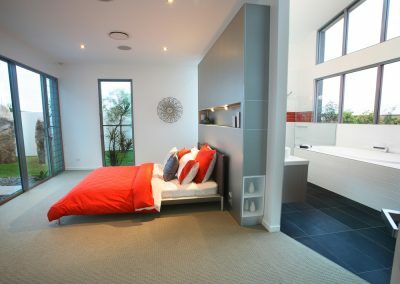 The louvres add a stylish ambience to the overall design whilst allowing cross flow ventilation. 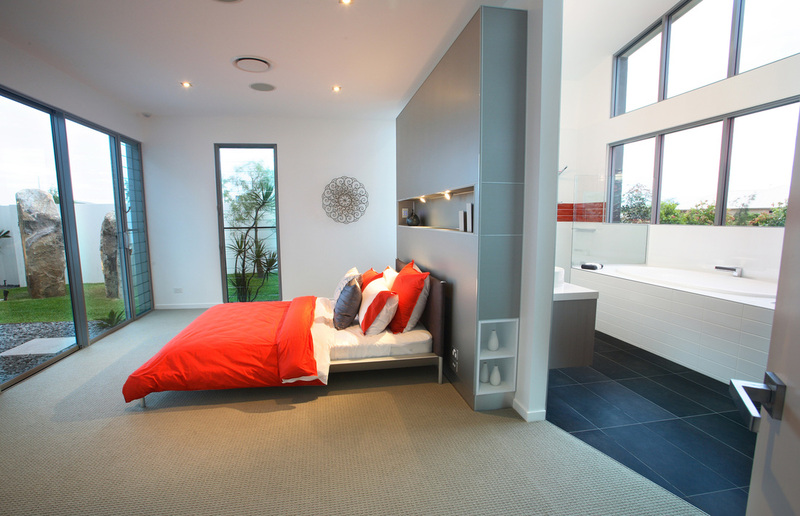 This project has won the National Award Winning Display Home – Master Builder Association.